JICE conducted “2018 Pre-return Program” for the benefit of 245 JDS Fellows from 13 countries from March 4th to March 6th, 2019 with an aim to reaffirm their leadership role in the advancement of the respective countries and to encourage them to share aspirations in leading their countries towards a better future after return. 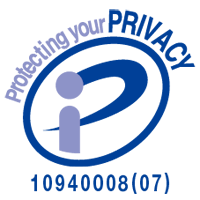 Beginning in 1999, JICE has been deeply engaged in human resource development of the civil servants of the partner countries through managing the Project for Human Resource Development Scholarship (JDS). 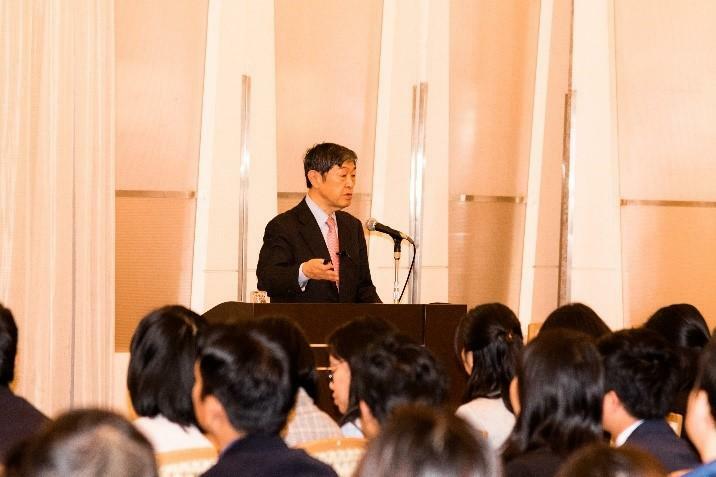 This year’s program featured special lectures delivered by Dr. Tomohiko Taniguchi, Special Adviser to Prime Minister Shinzo Abe's Cabinet and Professor of Keio University and Dr. Shinichiro Kitaoka, President of Japan International Cooperation Agency (JICA). 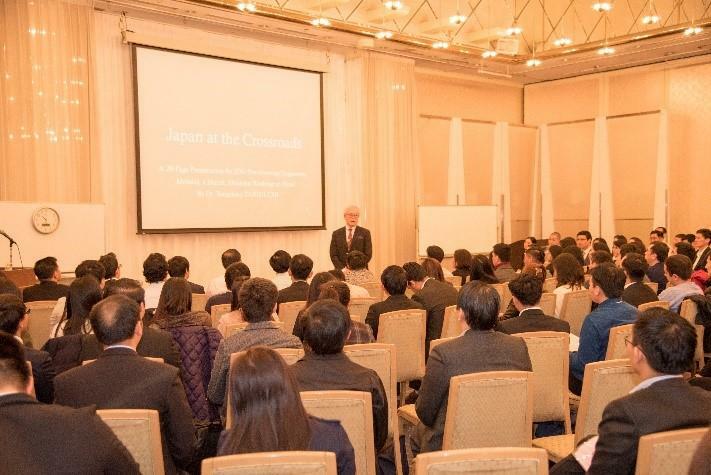 Under the title of “Japan at the Crossroads”, Dr. Taniguchi gave a lecture regarding the crucial issues facing present-day Japan and the future prospects. Under the title of “Fukuzawa Yukichi and Japan’s Modernization” Dr. Kitaoka elaborated how Japan was able to achieve modernization in a relatively short period of time. 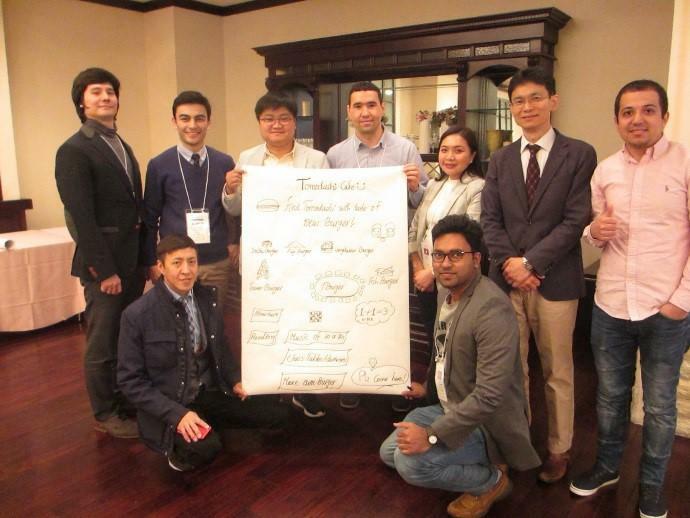 The participating Fellows also learned about “Japanese-style Leadership” through a workshop facilitated by Prof. Tomoya Nakamura from Graduate School of Management Globis University. 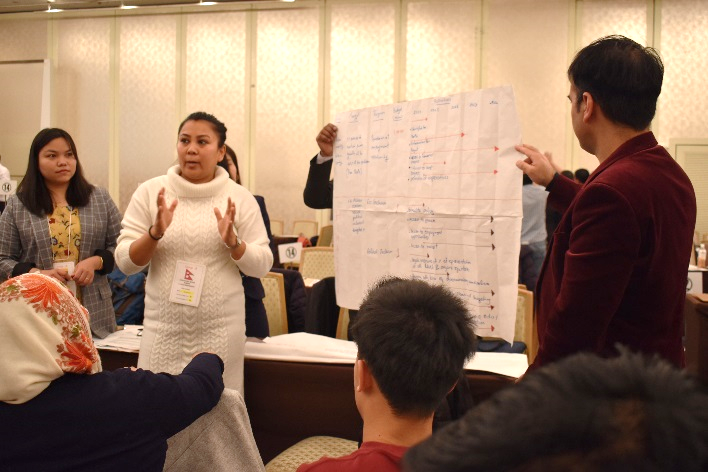 As a new attempt for this year, we arranged discussion sessions with the officials of JICA’s thematic departments and a group work on SDGs carried out by the participants in a bid to strengthen their network with JICA as well as among themselves. 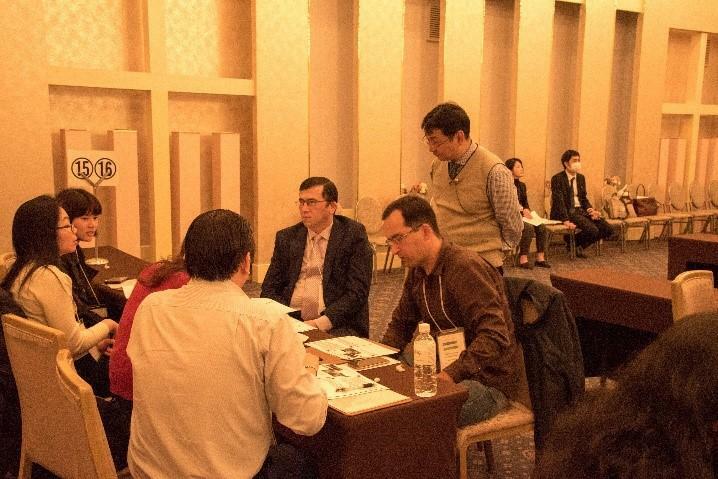 Looking forward, JICE will continue to support their academic study and to facilitate their interaction with the policy makers and administrators of Japan though arranging networking events and joint training programs such as this one.